Updated | NICE, France (Reuters) - A "terrorist" gunman killed 80 people and wounded scores when he drove a heavy truck at high speed into a crowd that had watched Bastille Day fireworks in the French Riviera city of Nice late on Thursday, officials said. Interior Minister Bernard Cazeneuve said 80 people died and 18 were in a critical condition. Many more were also wounded in the attack along the famed seafront Promenade des Anglais as the fireworks ended just after 10:30 p.m. (2030 GMT). The driver also opened fire before police shot him dead. 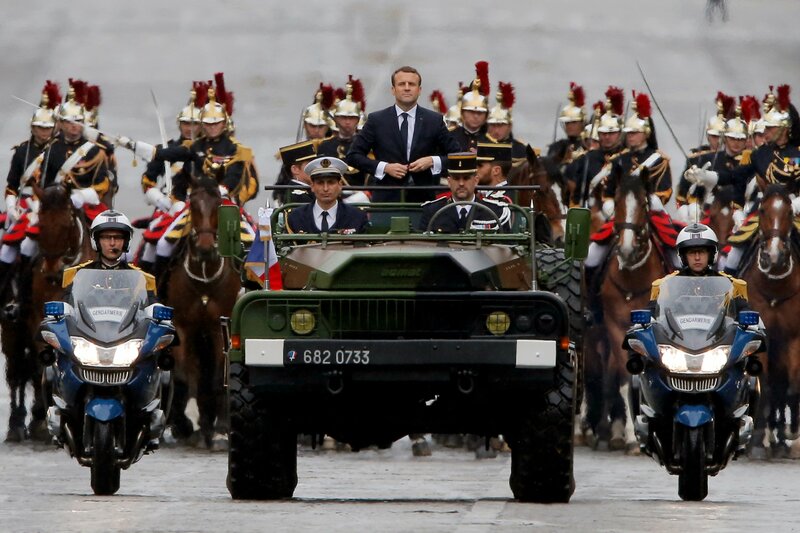 In a pre-dawn address to the nation, President Francois Hollande said he was calling up military and police reservists to relieve forces worn out by an eight-month state of emergency begun after the Islamic State militant group killed 130 people in Paris. 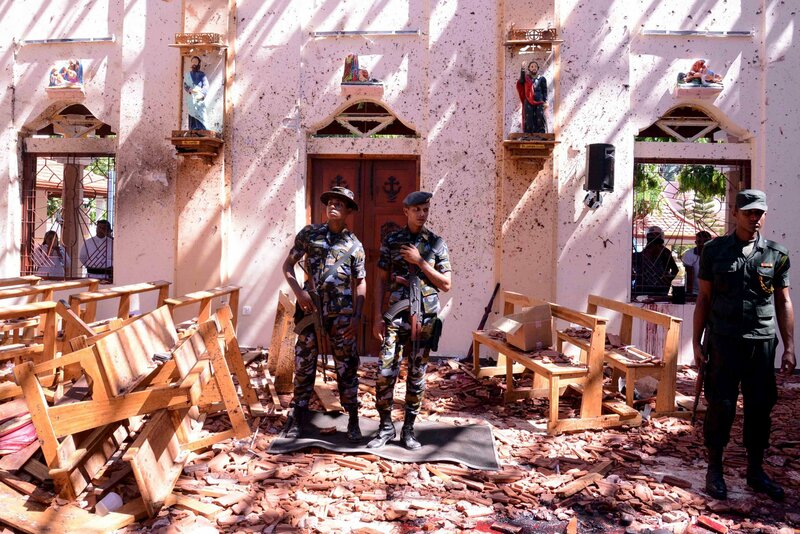 The state of emergency was extended by three months. Counter-terrorist investigators were seeking to identify the driver. A local government official said weapons and grenades were found inside the 25-tonne, unmarked articulated truck. Officials said hundreds were hurt as the driver wove along the seafront, knocking them down "like skittles". The attack, which came eight months and a day after Islamic State gunmen and suicide bombers struck the French capital on a festive Friday evening, seemed so far to be the work of a lone assailant. Newspaper Nice-Matin quoted unidentified sources as saying the driver was a 31-year-old local of Tunisian origin. Police were working to establish what accomplices he may have had in a city with a reputation for Islamist activism. 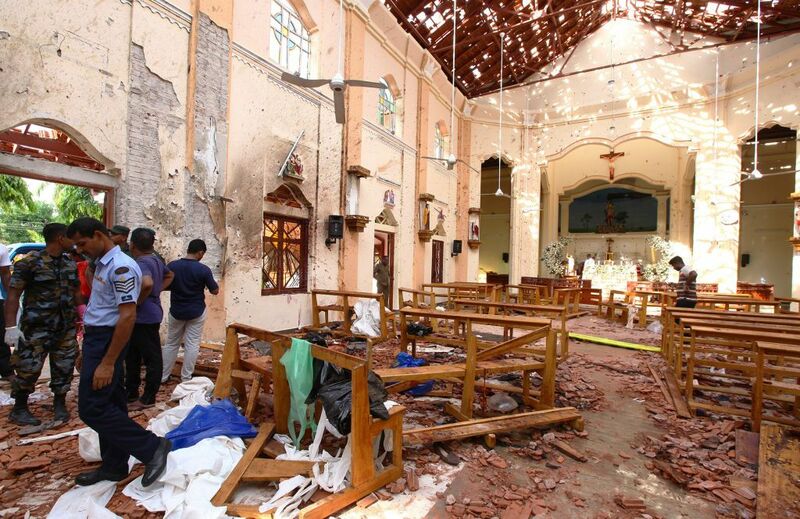 There had been no claim of responsibility made almost six hours after the attack. 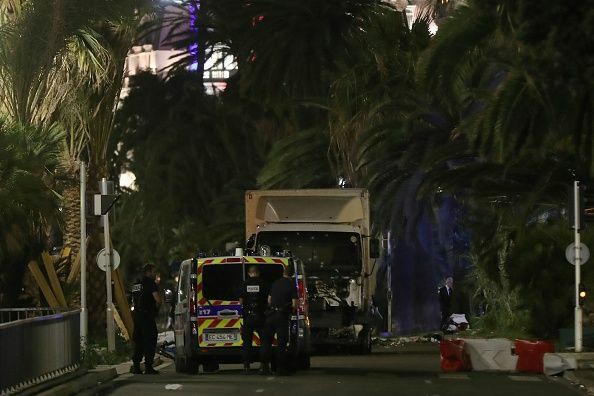 The truck careered for hundreds of meters along the front facing the Baie des Anges (Bay of Angels), slamming into families and friends listening to an orchestra or strolling above the beach toward the grand, century-old Hotel Negresco. "It's a scene of horror," member of parliament Eric Ciotti told France Info radio, saying the truck "mowed down several hundred people." Jacques, who runs Le Queenie restaurant on the seafront, told the station: "People went down like ninepins." Bystander Franck Sidoli, who was visibly shocked, said: "I saw people go down." "Then the truck stopped, we were just five meters away. A woman was there, she lost her son. Her son was on the ground, bleeding," he told Reuters at the scene. Nice-Matin posted photographs of the truck, its windshield starred by a score of bullets and its radiator grille destroyed. 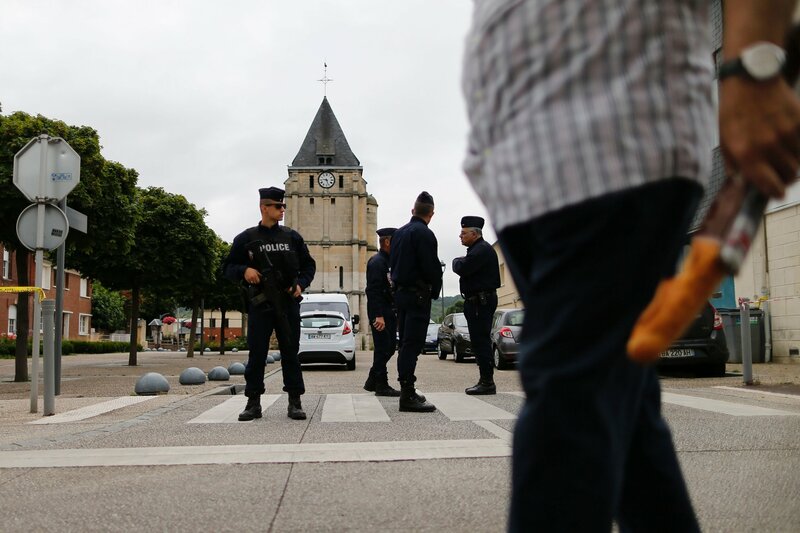 Major events in France have been guarded by troops and armed police since the Islamic State attacks last year, but it appeared to have taken many minutes to halt the progress of the truck as it tore along pavements and a pedestrian zone. Police told residents of the city, 30 km (20 miles) from the Italian border, to stay indoors as they conducted further operations, although there was no sign of any other attack. Hours earlier, Hollande had said the state of emergency would end in two weeks. He has now extended it by three months, calling up former troops and gendarmes after racing back to Paris from the south of France in the wake of the attack. Islamic State militants killed 130 people in Paris on Nov. 13, the bloodiest in a number of attacks in France and Belgium in the past two years. On Sunday, a weary nation had breathed a collective sigh of relief as the month-long Euro 2016 soccer tournament across France ended without a feared attack. Vehicle attacks have been used by isolated members of militant groups in recent years, notably in Israel, as well as in Europe, though never to such devastating effect. U.S. President Barack Obama said in a statement: "On behalf of the American people, I condemn in the strongest terms what appears to be a horrific terrorist attack in Nice, France, which killed and wounded dozens of innocent civilians." The United Nations Security Council said it "condemned in the strongest terms the barbaric and cowardly terrorist attack". On social media, Islamic State supporters celebrated the high death toll. Nice-Matin journalist Damien Allemand had been watching the traditional seaside firework display when the truck tore by just as it ended. After taking cover in a cafe, he wrote on his paper's website of what he saw when he came back out on the promenade: "Bodies every five meters, limbs ... Blood. Groans." Officials have warned in the past of the risk of Islamist attacks in the region following the Paris and Brussels attacks. Reverses for Islamic State in Syria and Iraq have raised fears it might strike again in Europe, possibly again using alienated young men from the continent's Arab immigrant communities whom it has inspired to take up arms against their native countries. Nice, a city of some 350,000, has a history as a flamboyant, aristocratic resort but is also a gritty metropolis. It has seen dozens of its Muslim residents travel to Syria to fight, a path taken by previous Islamic State attackers in Europe. This has been updated to reflect the increased death toll. Sarkozy's Second Act in France?